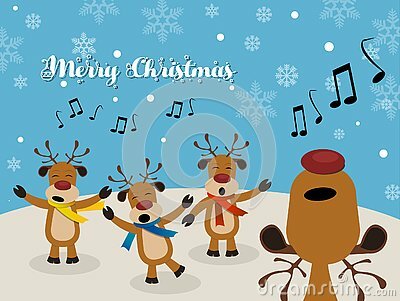 A group of four cute reindeer singing Christmas carols on a snowy background. Ai file available. Christmas Greeting Card with Rudolph. Santa Claus and Reindeer around the Christmas tree on transparent background. Scandinavian gnomes style.